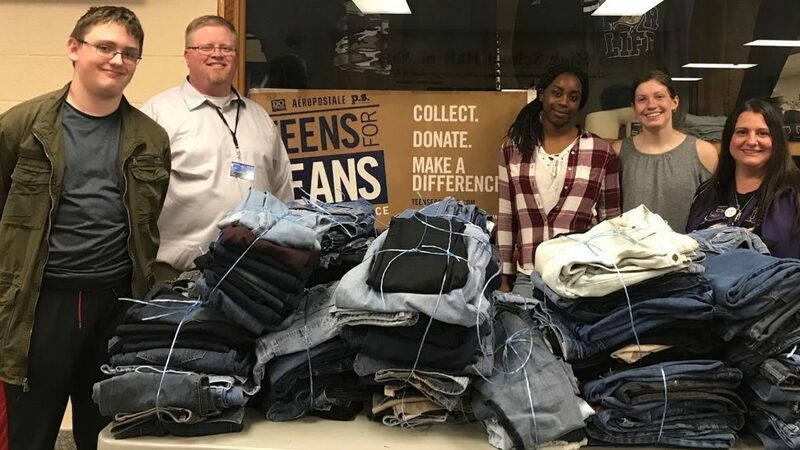 Islip High School students in teacher Renee Clock’s Junior Chamber of Commerce Club donated 220 pairs of denim jeans to Tim Mare of the Town of Islip Youth Bureau its Teens for Jeans campaign. The students were also assisted by Doris Kennedy of Bay Shore’s Kennedy L.I. Realty and Suffolk County legislators Tom Cilmi and Steven Flotteron, whose offices served as drop-off sites. The jeans will be donated to local youth living in homeless shelters. 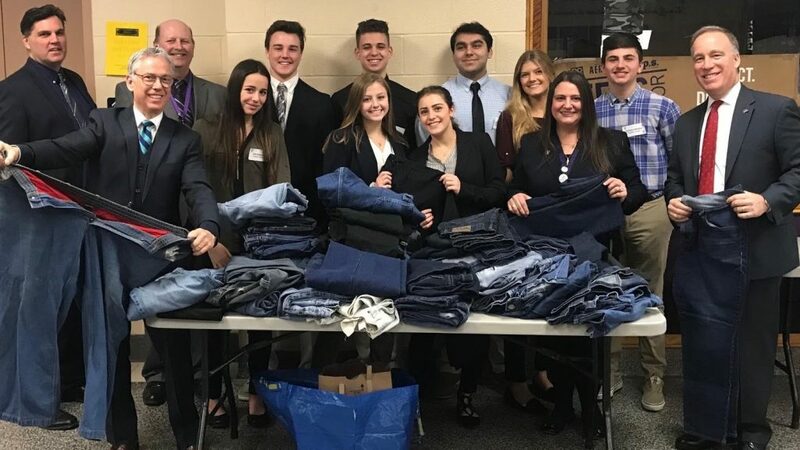 IMG_9221, IMG_9590: Islip High School Junior Chamber of Commerce Club students donated 220 pair of denim jeans to the Town of Islip Youth Bureau’s Teens for Jeans campaign.